Hi guys!! 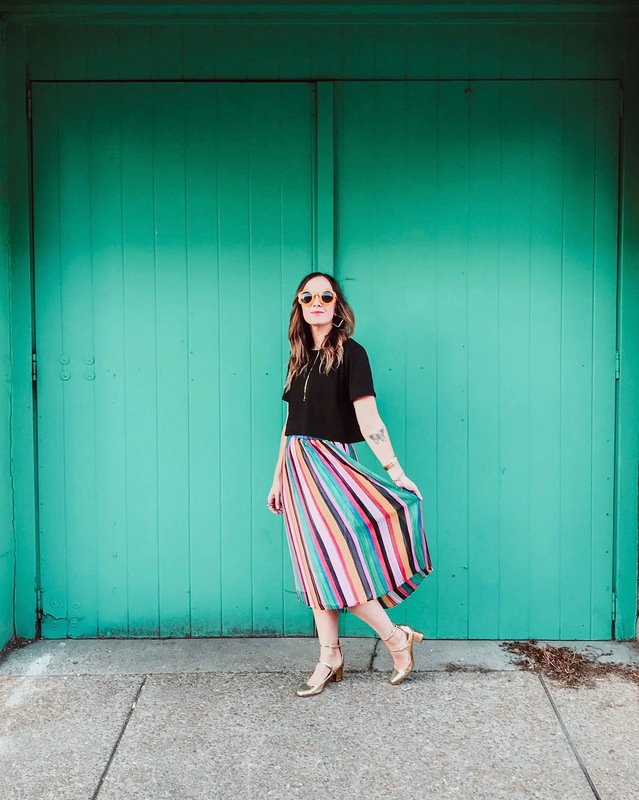 It’s that time of the month where I feature someone who has inspired me, and today is all about Hannah! I am SO excited to share her with you. This cutie right there ↑ She is one amazing lady! 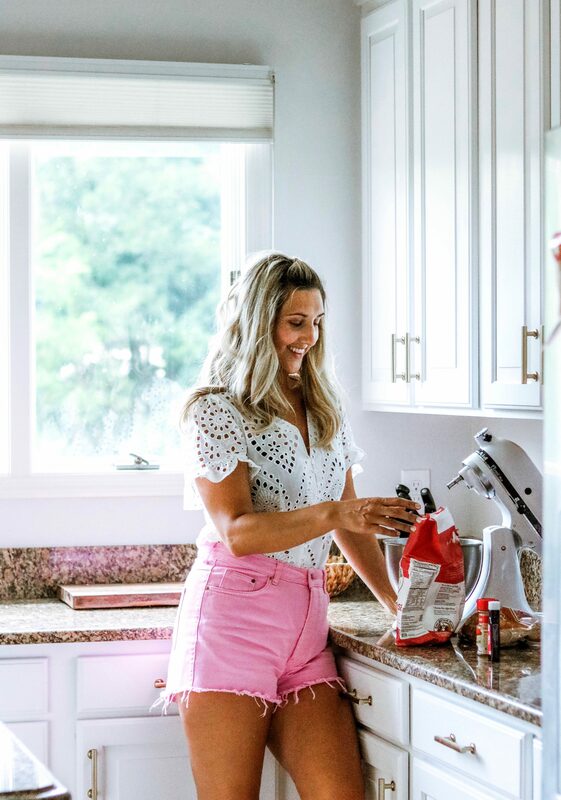 She is a wife and mama, and also runs an amazing business & non-profit with her husband, NBD. She’s basically #goals. You can check out their company HERE and also the most amazing non-profit they just launched HERE. Hannah is literally the sweetest person on this planet. She talks in the sweetest tone and it’s basically like she’s snow white and little birdies follow her around everywhere because of how sweet she is lol. She is mama to a little boy named Bert, which that name alone, come on!!! Too darn cute. If you saw him, you’d immediately melt into a puddle. Aside from her sweetness, she loves the Lord, and that radiates from her, and has a heart for people, which also shows. 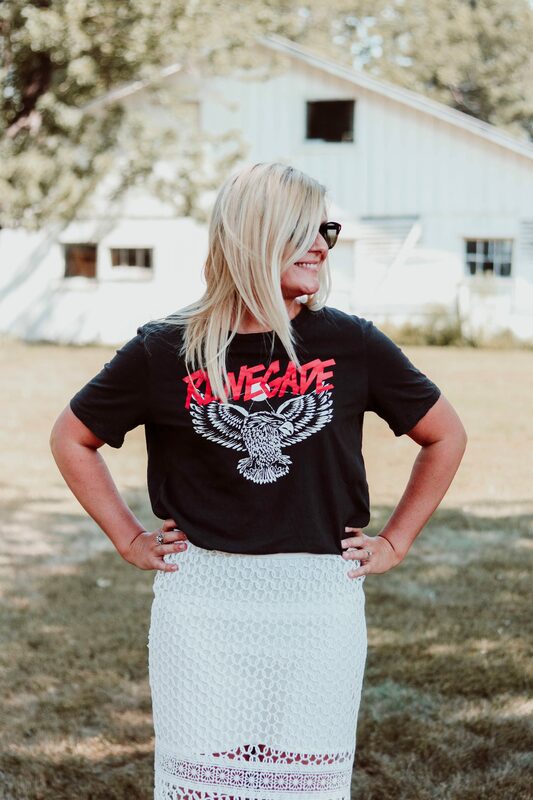 Plus, she has KILLER style!! We were recently at a birthday for my friend Jenni (who I met Hannah through), and Hannah walked in wearing this outfit, and I died. She looked so cute and I told her she was going on my blog haha! So, be warned that if you’re around me and I love your outfit, I’ll put you on my blog!!! As a mom who works part-time for the family business, I end up spending most of my days with my three-year-old son. He learns so much from both of us but right now, I’m with him the most so while he has his father’s tendencies, he’s learned a lot of mine. Intimidating? Yup. He models a lot of my behavior (sometimes, good – sometimes not!) So, instead of getting frustrated, overwhelmed, or annoyed, I’ve decided that I need to work on carrying myself the way I would want him to carry himself. Sure – that’s my job, right? Easy, right? (Said no mom, ever). I have moments of feeling like I never do ENOUGH. That no one gets the percentage of my time and attention that they need. I feel like while I’m winning small battles here and there – somehow I’m still losing the war. Anybody hear me? Well, I recently had a come to Jesus moment with myself (ha). I determined that the only person who is setting this standard for myself is ME. Shoot. No one is asking me to work harder – they are complimenting me and thanking me for what I do. My son never begs me to play more. He is always content with our time together. The laundry truly never stops and the dishes don’t care if they’re clean or dirty – so what if they sit in the sink for a little bit longer while we finish building block towers? My husband reminded me that the reason I’m staying home is simply so that we can BE TOGETHER as a family. And at least my son is with one of his parents all the time through these younger years. So true. Why am I being so hard on myself? Stop. It. This has made me think a lot about God’s love for us, for me, and the relationship he desires us to have with him. The more time we spend with him (in the word, in prayer, etc.) – the more we become like Him. Just like the more time my son spends with me, the more he acts the way I do. So I’ve been trying to focus more on that. Get my first love right…and then everything else should fall into place. If God is love and I am spending more time with Him…then I’m becoming more like love. Little by little… and I can’t think of anything I’d rather be. So whether you’re having a great day or a hide-in-your-closet-and-finish-the-whole-tub-of-ice-cream-all-by-yourself day please remind yourself that there are others out there that share your struggles. Part of being human is fighting battles that no one ever sees. So whatever you do, DON’T GIVE UP. This part should sound familiar (and was taken from 1 Cor 13:4) . Say it like you mean it… I’m patient. I’m kind. I’m not envious. I’m not boastful, I help bring honor to others. I am self-less. I’m not easily angered. I keep no record of wrong. I delight in truth. I am protective, trusting, hopeful, and I’m not giving up becoming more like love. You all know my love for dainty jewelry. I’ve talked about it multiple times on here, and showed you piece after piece! 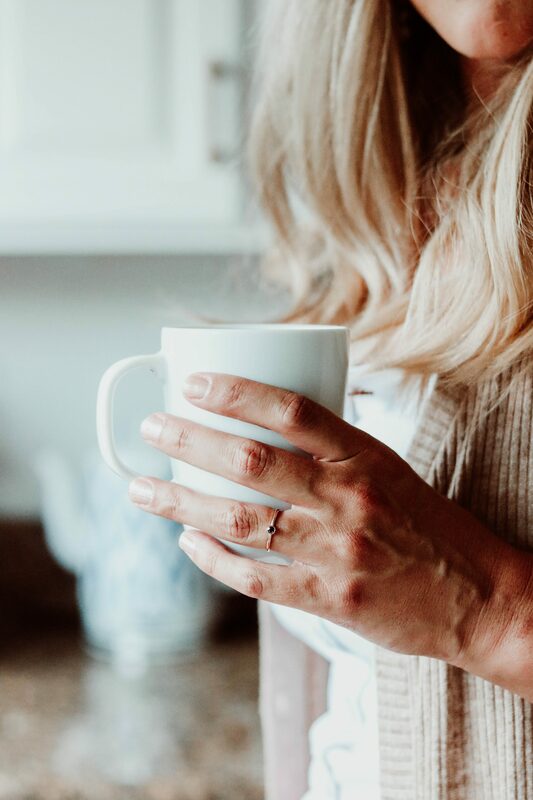 I am so excited to introduce you to AUrate jewelry today. I am literally obsessed with all of their pieces. I love how simple and beautiful it all is. Don’t get me wrong, I love a great statement piece, but simple and classic jewelry stands the test of time. 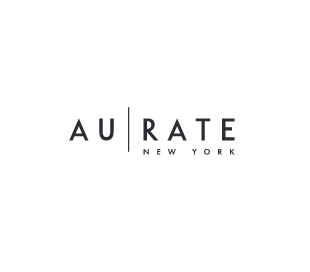 When AUrate reached out to me, I couldn’t respond fast enough! Their jewelry is 100% Miss Mary Powers. 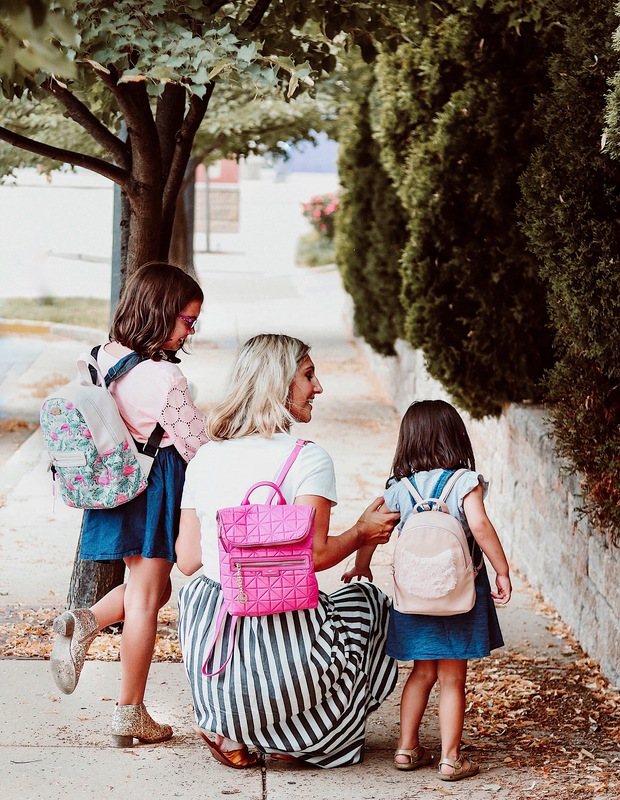 Mama Needed A Change – New Hair – Plus A Nordstrom Giveaway!! I thought I would share my new hair here because you may not follow me on Instagram! I recently went into my hair salon and needed a change. It was either going to be going back to brunette, or cut. I am just not ready to go back to my dark hair, I really am loving the blonde!! So cut it was. The last time I cut my hair, I literally cried for a year, no joke. This time is way different and I’m pretty dang proud of myself! The length is perfect but I’m already getting the itch to go shorter! It feels so fresh and healthy. I also finally learned how to curl my own hair lol, so that helps having it styled. After 36 years of life, I’ve finally got it down! 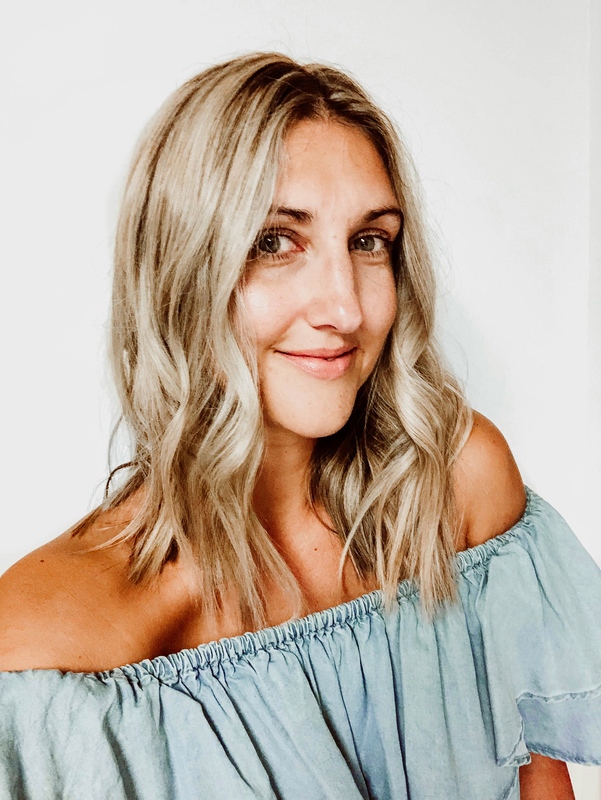 Cheers to change and loving your hair! If you are local to St. Louis and need a new hair stylist, let me know. I LOVE mine!! 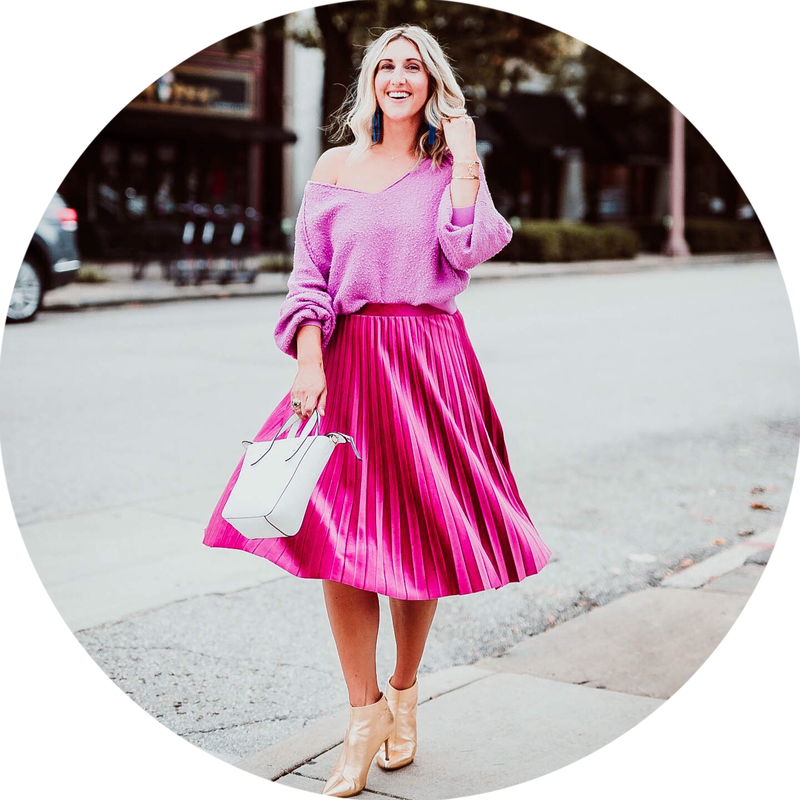 PS- See below for a killer Nordstrom giveaway!!! 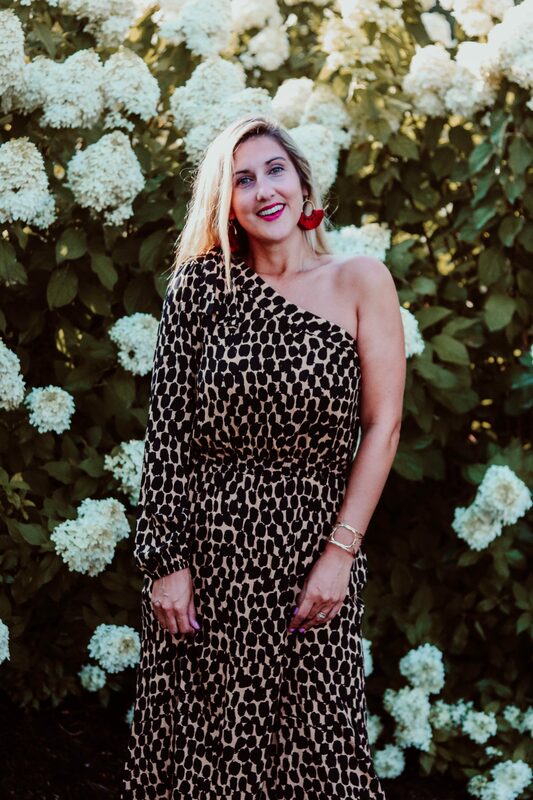 One shoulder Dress – Plus an 800$ Revolve Giveaway! 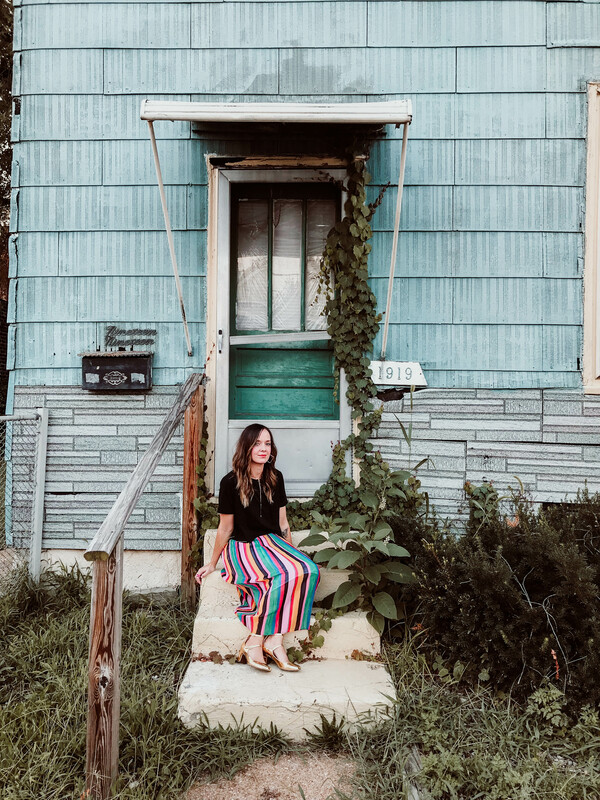 If you follow me on Instagram, you may have seen a story of mine a few weeks ago saying I wanted to add some new elements to my blog that weren’t centered around me so much, but rather inspiration from elsewhere. I am SO excited to be starting that series today!! 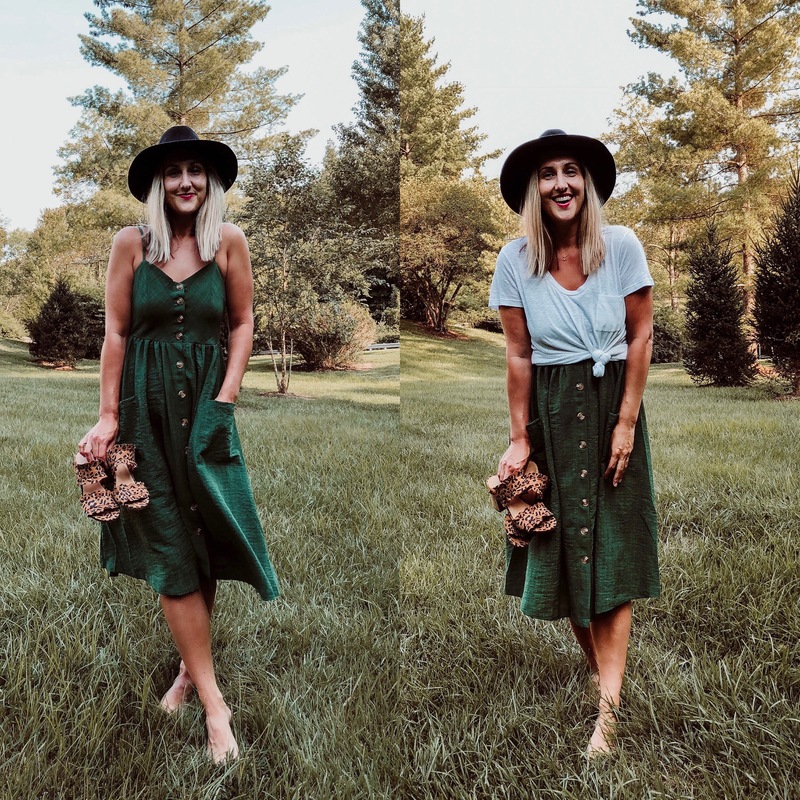 My blog thus far has been solely based on my style, with some random home and mom life peppered in. I do love clothes and styling outfits, but there are so many other things I love too. There’s also SO many places (and people) I get inspiration from. My goal is to feature one person, place, or thing a month that is currently inspiring me. It could range from a beautiful sunset, to a recipe, to an outfit on a friend that I loved. I hope you’ll love these new posts!! 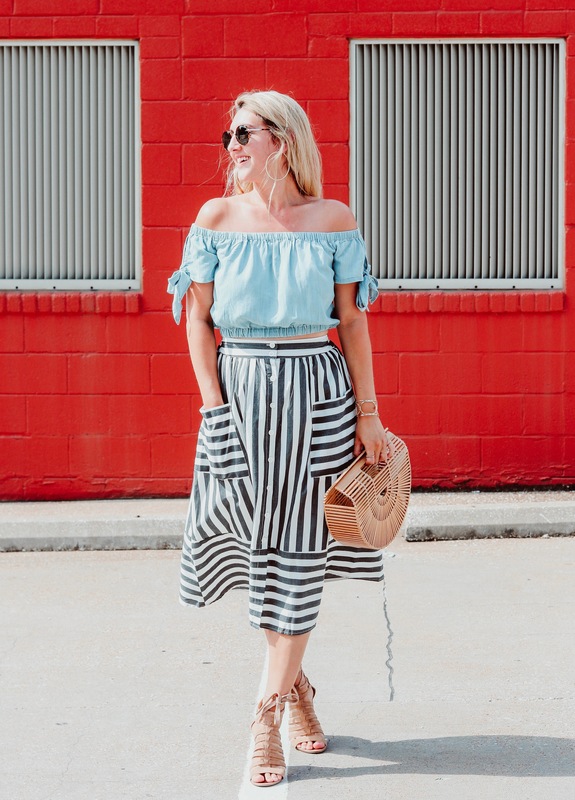 Stripes, Chambray, And A Nordstrom Giveaway! 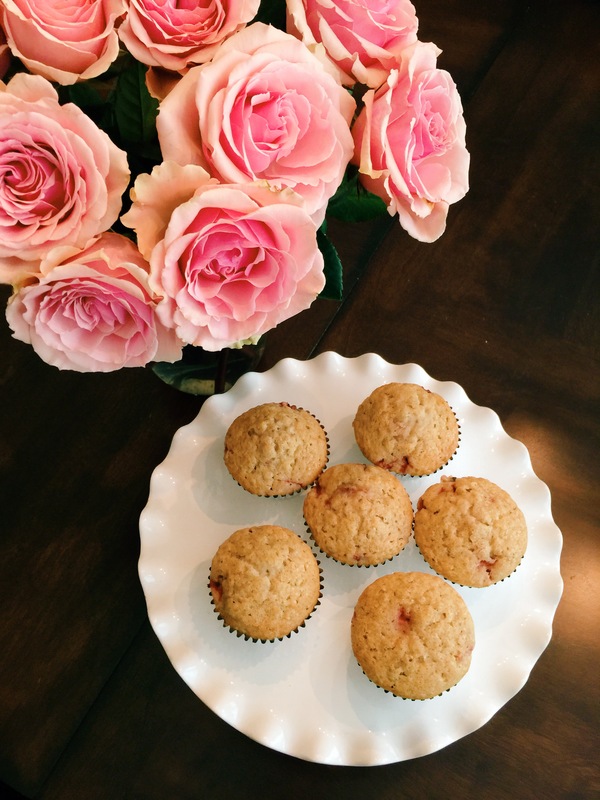 My Favorite Muffin Recipe And A Nordstrom Giveaway! I realize this is a fashion blog, but a girl’s gotta eat, right?! More like splurge! I LOVE to bake. Baking is a stress reliever for me. The problem is, I am a sweet-a-holic too.. Not the best combo. I have learned that for me, I have to indulge every once and a while. If I deprive myself, It backfires. So, on the weekends I will make a big breakfast for my family and muffins is usually on that list, and I always serve them to my family just like this….LOL not even close! It’s usually served on paper plates and there is no flower presentation in sight haha! I do prefer to make things from scratch, if I have the time, because I can control what goes in them. I created this recipe after not finding the perfect one, so I combined a few, tried different combos and landed on this full proof recipe. It is great with any fruit. I have made it with blueberries, strawberries, and raspberries. These are strawberry muffins in the pic.